A Payless ShoeSource store is seen in Orlando, Florida, on Sunday, Feb. 17, 2019, the first day of the retailer's liquidation sale after confirming a day later that it will close its stores in the U.S. and Puerto Rico. Monday is the last day customers can use their Payless ShoeSource gift card and merchandise credit. The Topeka, Kansas-based retailer, which filed for Chapter 11 bankruptcy protection on Feb. 18, will begin to shutter its remaining stores in North America at the end of this month after receiving a court approval to support the orderly closing of about 2,500 stores in the U.S., Puerto Rico and Canada, as well as its e-commerce business. All stores across the country will be closed by the end May. The shoe chain began holding going-out-of-business sales last month at its North American stores and said it would honor gift cards and store credit through March 11. March 1 was the last day for returns and exchanges of merchandise purchased before Feb. 17. Its Payless Rewards program has also been discontinued. Disabled plaintiffs call themselves activists working to improve society for the disabled, one lawsuit at a time. Critics call it "legal extortion," now targeting small business owners who feel they are "sitting ducks" for Americans with Disabilities Act lawsuits regarding their websites. Last year, there were 2,285 ADA website lawsuits filed in federal courts across the nation. Payless shut down its e-commerce shop on Feb. 15, but said it will continue sell its merchandise online through third-party sites, such as Amazon, for the time being. The liquidation doesn't affect its franchise operations or its Latin American stores, which remain open for business as usual, it said. The debt-burdened chain filed for Chapter 11 bankruptcy protection a first time in April 2017, closing hundreds of stores as part of its reorganization. 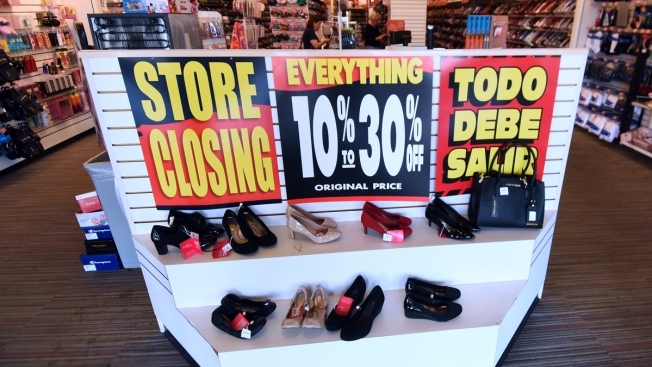 "The challenges facing retailers today are well documented, and unfortunately, Payless emerged from its prior reorganization ill-equipped to survive in today's retail environment," said Stephen Marotta, Payless ShoeSource's chief restructuring officer, last month. He noted that the prior Chapter 11 proceedings left the company with too much debt and with too many stores.